A civilian volunteer and two former soldiers are receiving treatment in hospital after being involved in a car crash while competing in the Dakar Rally. 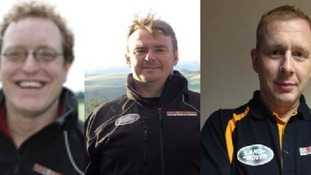 Retired Army Major John Winskil, Falklands veteran Lee Townsend and team driver Justin Birchall were injured in a head-on collision with two other vehicles which left two people dead. The team has decided to continue competing in the Dakar Rally.